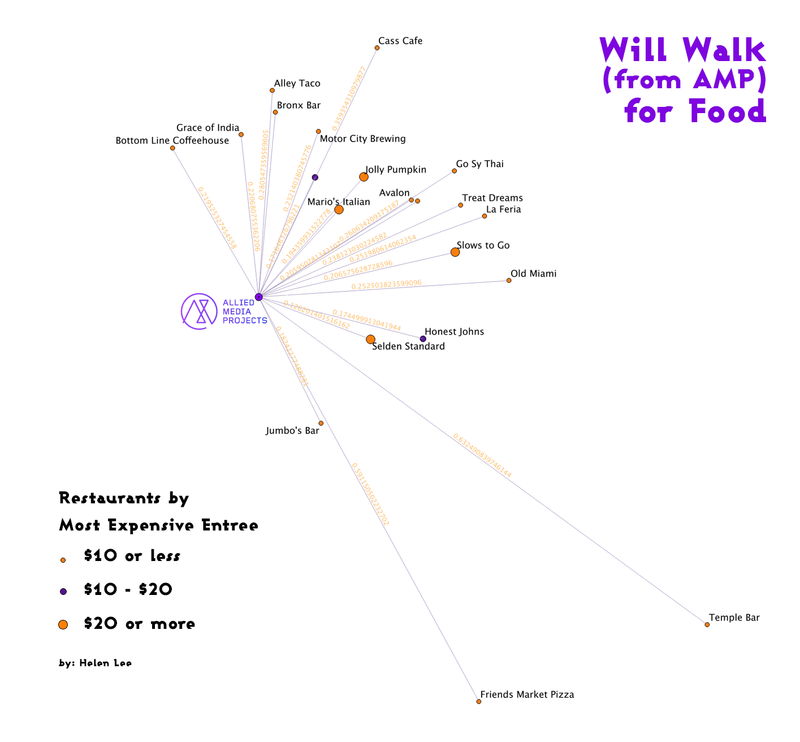 “Will Walk (from AMP) for Food” maps out food establishments by distance (miles) from the Allied Media Projects (AMP) office. Food establishments are also categorized by the most expensive entree displayed on their menu (as indicated by the map key). 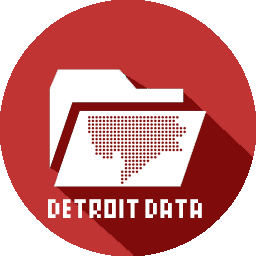 The map was generated in QGIS and participants in the workshop along with the facilitator worked together to collect the data used in the map. I would say tapas places like La Feria are misleading. Yes you can get a plate for less than $10 but it is a small appetizer. Not a meal or entree. Not sure about the others yet. I have been to some of them but would have to look at menu to determine entree.